Preheat oven to 400°F. Spray 9-inch pie plate with cooking spray. Brown sausage in skillet until no longer pink; drain fat. Set aside. In large bowl, whisk together eggs, half-and-half and pepper. 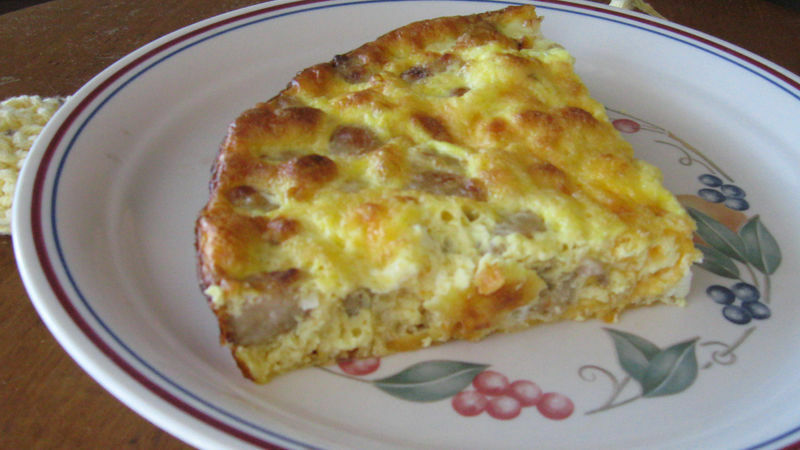 Stir in cheese and cooked sausage. Pour into pie plate. Bake 45 minutes or until quiche is set. Let stand 10 minutes. Serve warm.